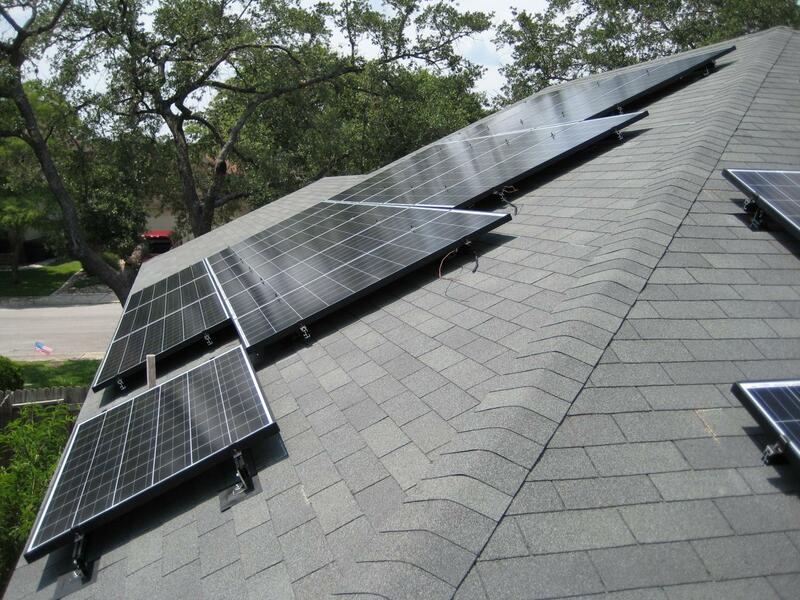 Time to install some solar panels! 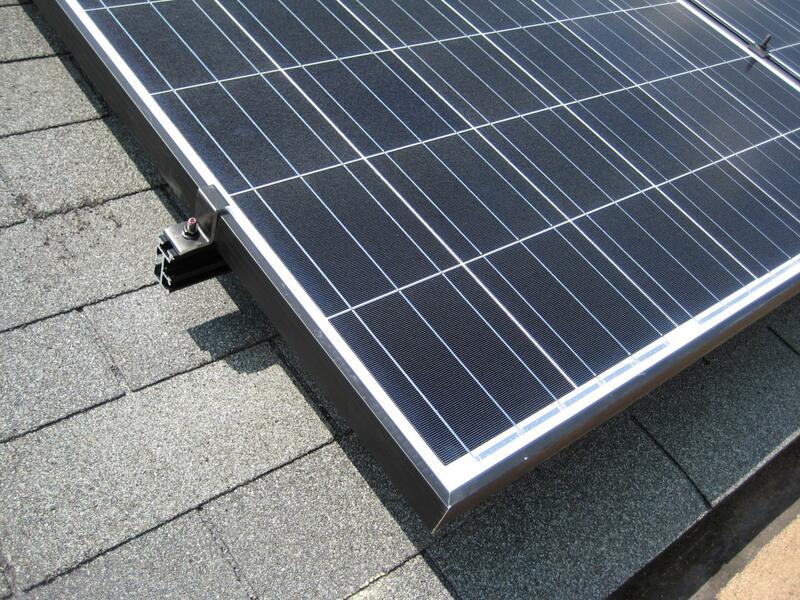 2013-05-16 Signed contract with solar installer. Application documents sent to the power company. 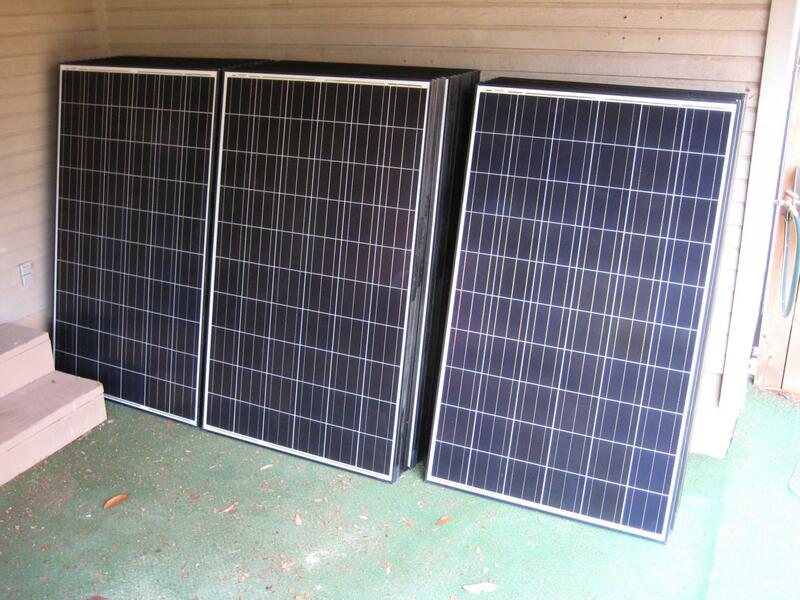 2013-07-03 Received all solar panels, inverters, and racks. 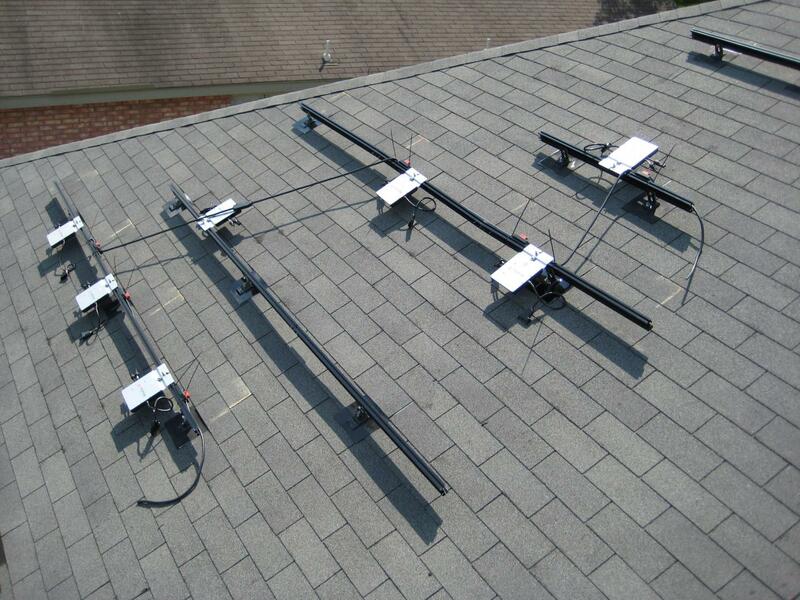 Racks mounted on the roof. 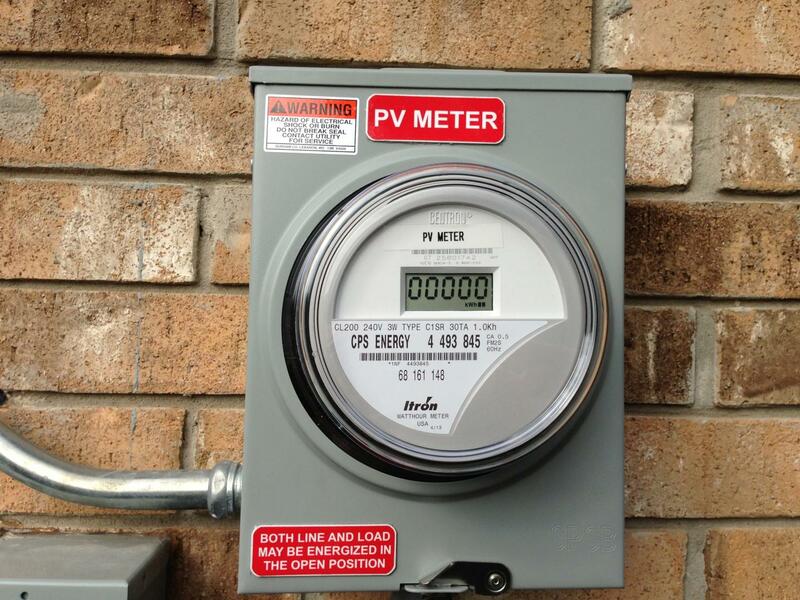 2013-07-30 Utility company swaps the old meter with the new PV meter and turns the system on! Internet monitoring system setup. All 29 panels in a stack. Each panel contains 60 monocrystalline cells soldered together behind a glass cover. 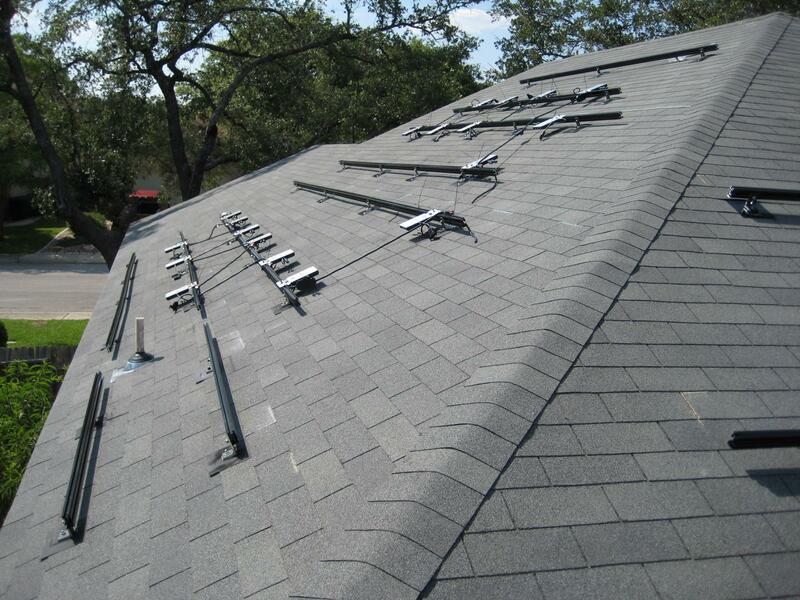 The panels bolt onto these aluminium tracks mounted on the roof. 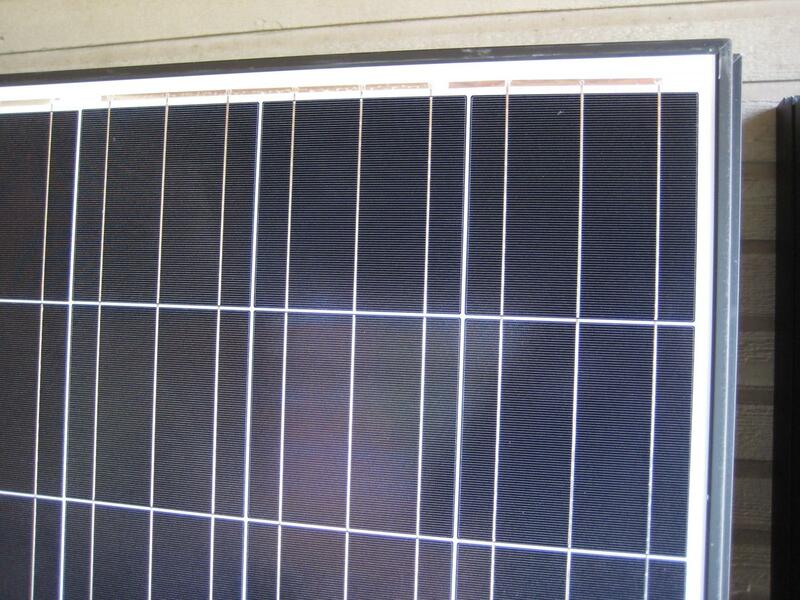 Behind each panel resides an micro-inverter that immediately converts the DC of the panel to the AC of the grid. 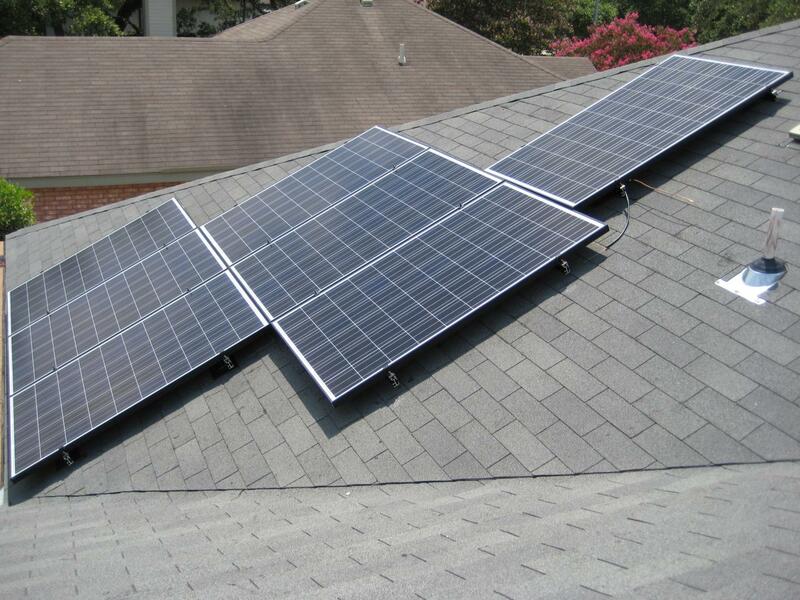 Most panels are on the south-west facing surface of the roof. The middle and right sections face south-east. 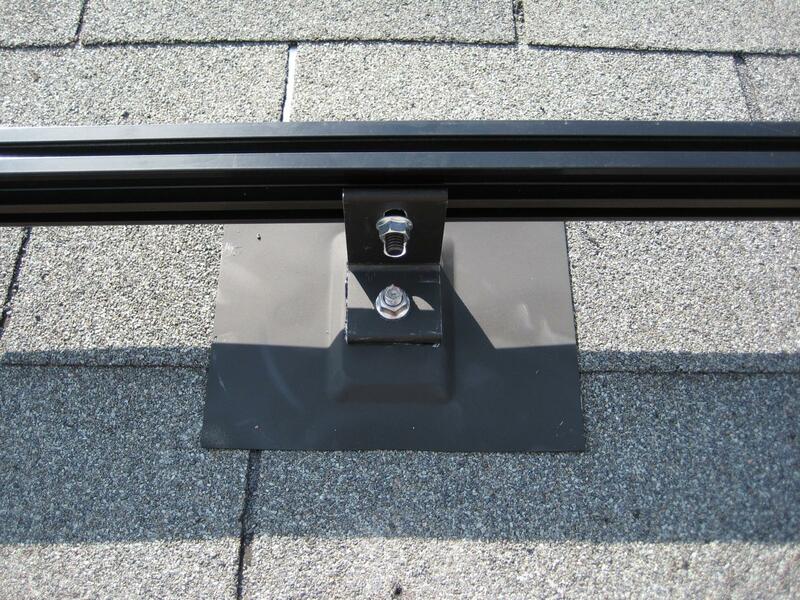 Because the micro-inverters take care of the hard part, this simple junction box is all that is needed to tie the runs together. The Envoy box is rather interesting. 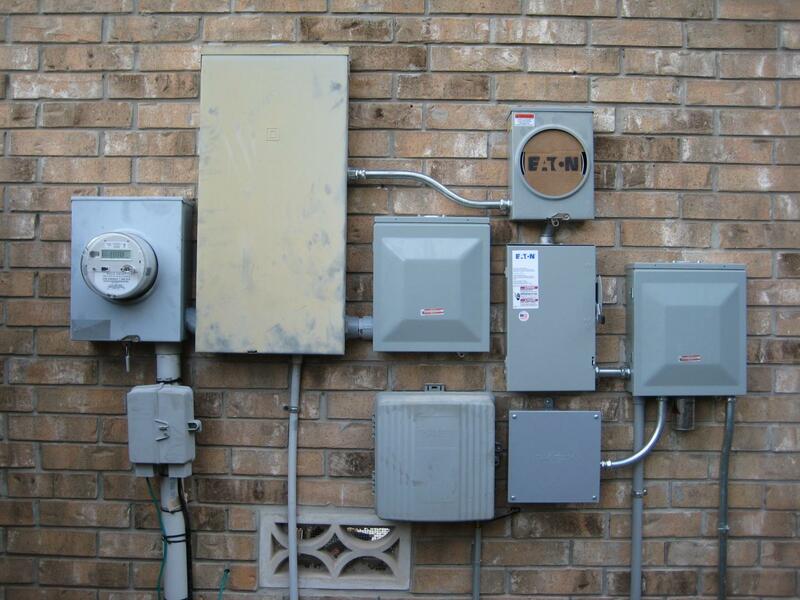 Inside the grey box is a wall mount unit that converts the statistic data coming from the micro-inverters into CAT5 Ethernet. 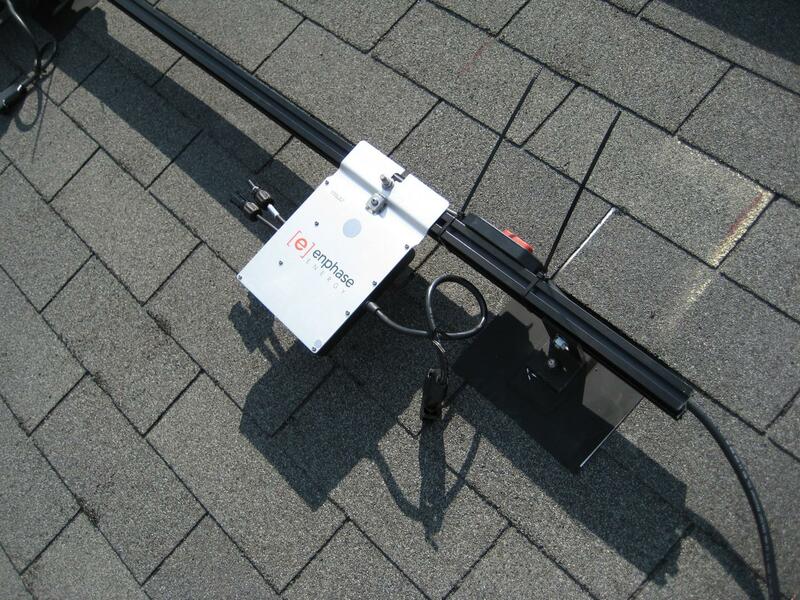 The unit communicates with the Enphase site over the Internet using standard HTTP requests. 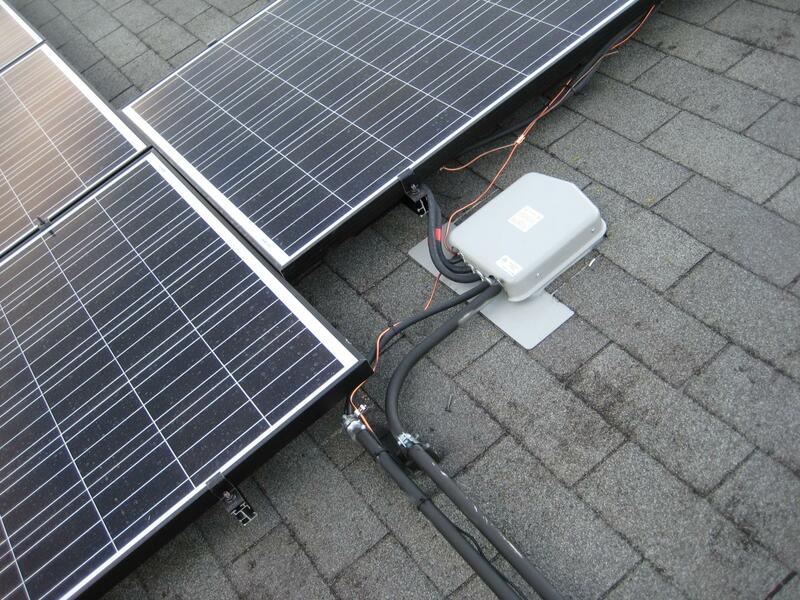 Even though the device was designed to be mounted indoors, the installer recommended this outdoor setup for better communication between the inverters and the unit. Apparently, the inverters use some form of data-over-AC that can become problematic if the Envoy is too far (connection-wise) from the source. This is the PV meter. 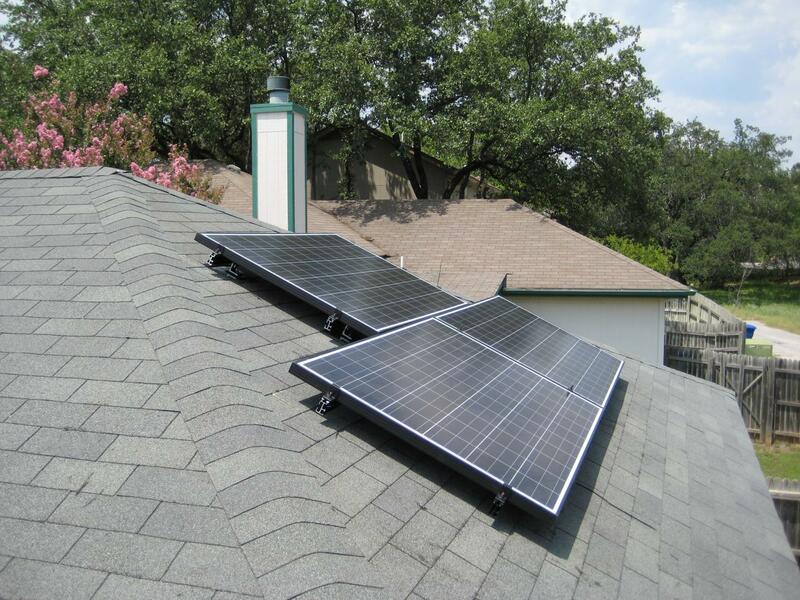 It simply counts how many kWh of electricity the solar system has produced. This is the revenue meter. It cycles between a number of counters. Although the display does have an animated "arrow" that moves backwards during the day, none of the counters are actually negative. 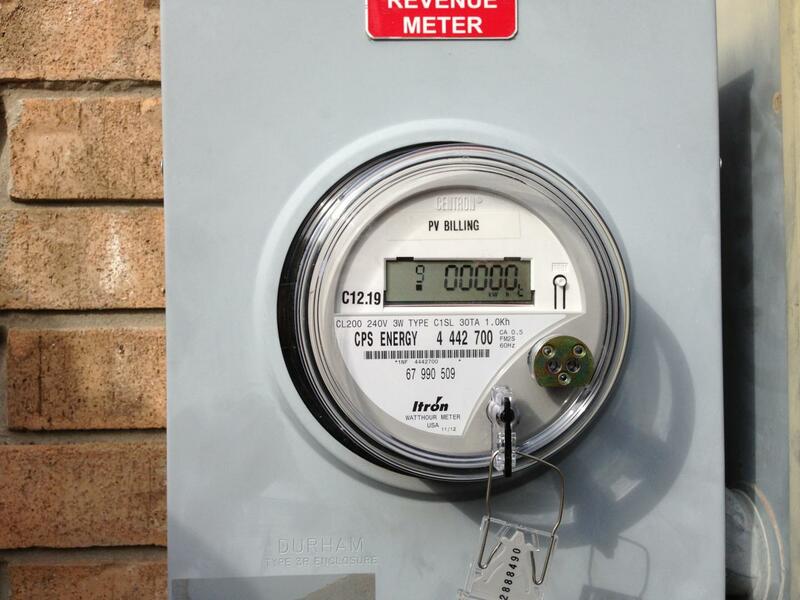 The relevant counters are: "Total kWh delivered from the utility" and "Total excess kWh sent out to the utility."